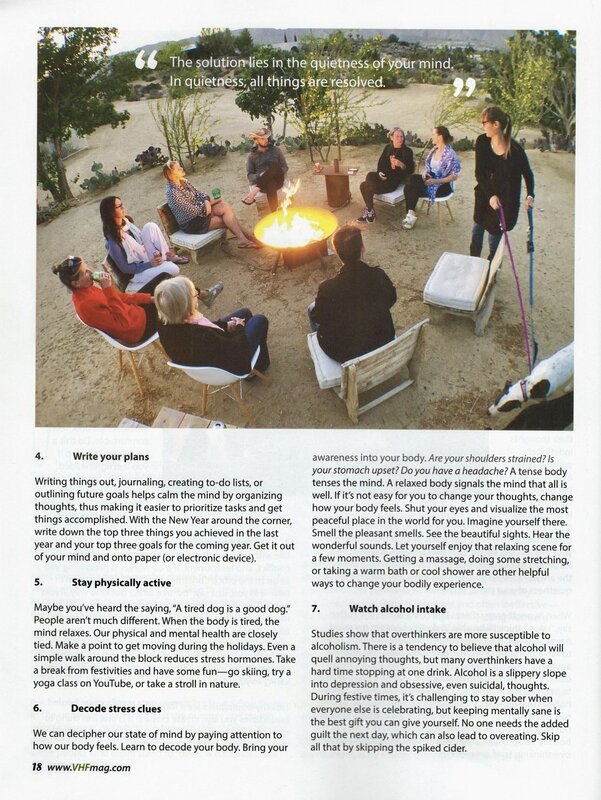 The Connect Magazine Summer 2018 article "Cactus Moon Retreat has Serenity Seekers Trekking to the Desert." "Spiritual circles seem to be divided on the body. Some say it's an illusion; others say it's a holy temple. (There is a third less popular opinion: that it's sinful, but that's more of a traditional religious tenet, so I'm going to skip it.) Illusion and holy temple are pretty disparate theories. Basically today's spiritualist is left to believe the body is either unholy or holy. So which is it? Are we to disregard the body, if it's an illusion, or are to worship the body, if it's a holy temple? I believe the truth lies somewhere in-between." 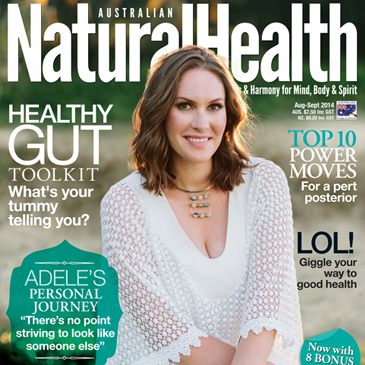 Wellness Warrior: Interviewed in Australian Natural Health print magazine article. "Have you ever wondered why we believe certain things? And why some of those beliefs seem to keep us at arm's length of living the life we really want? Hypnotherapist Cynthia Morgan solves the mystery in her new book You're Already Hypnotized: A Guide to Waking Up. Shannon Dunn finds out more..."
NOTE: I am staunchly anti-fur. The Lightness of Being: Featured in Russh print magazine article. "Cynthia Morgan talks of the importance of being 'awake', of being conscious. It's the past - all the everyday baggage you carry - that keeps you asleep, weighs you down. She says you need to find a release from whatever you've put in place to hold you back; be it your own beliefs or obstacles that you so painstakingly constructed to keep you in that safe zone. Morgan has worked with thousands of people and of them, she's found most hold onto (at least) one of five core negative self-thoughts. These stop you from waking up and seeing what's around you." The Importance of Doing Nothing: Featured in Wellbeing print magazine article. "According to leading board-certified hypnotherapist, Cynthia Morgan, our results-orient culture is taught from a young age to 'make it happen', 'go after what you want', 'be number one' and 'don't waste your time'. This, she says, teaches us that our worth comes from doing. 'While no one would argue all of that can be good advice, it can also be exhausting because much of the time when we seek those externals, it's to fill a lack we feel within,' Morgan says. 'In the end, all that doing and achieving just makes us feel like we need a good nap! We can never be truly fulfilled solely through activity. Fulfillment comes from the state of just being. Restfulness reconnects us to that place within that assures us we are already worthy,' she adds. 'We don't need to do anything to establish our worth. Once we know that truth, we can be more effective in the world.'" 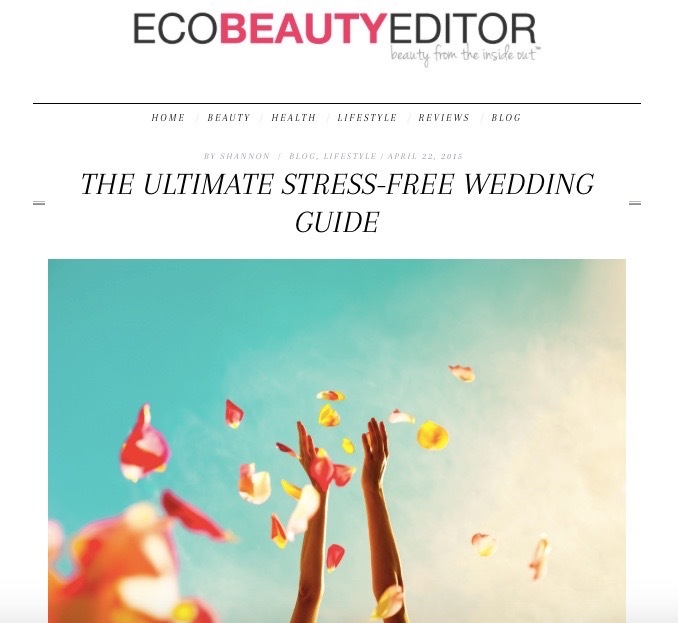 The Ultimate Stress-Free Wedding Guide: Featured in EcoBeautyEditor article. “Stress is a choice. It isn’t something that happens to you,” says leading US-based hypnotherapist Cynthia Morgan, who has worked with many nearlyweds. How does healing ourselves play a role in healing the planet? A Course in Miracles tells us the world is an outward pictorial representation of an inward condition. Meaning, what we see is merely a manifestation of collective thoughts. Mind is the cause. The world is an effect. We first decide what we want to see and then we see it. But we’re confused. We think the opposite is true, that what we see determines how we think and feel. Mind Over Matter: Interviewed in Westside Today print magazine. "How do you personally maintain your emotional health? First, if I am not emotionally well, I ask myself, 'How could I interpret this differently?' I find a different perspective on my life, the problem, or whatever. Secondly, I do self-hypnosis and look at the underlying issues. Thirdly, as a student of A Course in Miracles, I pick up the book and read the text or do a lesson." "MY NUMBER ONE BEAUTY TIP IS … a nightly bath with a spoonful of coconut oil and five minutes of meditation. The water cleanses your energy from anything you picked up throughout the day, setting you up for a restful night’s sleep; the meditation de-stresses you, helping you to stay younger looking; and the oil conditions your skin. A beauty home run!" The Essential Guide to Waking Up: Interviewed in EcoBeautyEditor. "What are some great steps someone could put into action on a daily basis? A good place to start de-hypnotizing is by recognizing that there is unlimited potential within—that you are a powerful, creative spiritual being, and you are not defined by your past, your present, your bank account, your age, nor are you a victim—unless you choose to be. You are the creator of your experience. As mentioned, daily meditation, self-hypnosis exercises and affirmations are useful actions to facilitate healing, which is why I included all of them in the workbook section of the book." Breaking Through With Doctor Penn: Podcast Interview with Cynthia Morgan. Dr. Penn has an insightful discussion about hypnotherapy, life, depth, and Cynthia's work. I was invited to talk about EFT on the radio show Naturally Speaking. You're Getting Sleepy: Interviewed in The Daily Kansan newspaper. "When most people think about being hypnotized, they think of a sideshow or a comedy act. Contrary to popular belief, the phrases "You are getting sleepy" and "When you wake up you're going to quack like a duck every time I clap" are never uttered in a hypnotherapist's office. Hypnosis is the soothing process of directing subconscious thought toward patterns of healthy living, says Cynthia Morgan, hypnotherapist in Los Angeles, CA." Healing Through Hypnosis: Interviewed in The Green Dove online magazine. "What advice would you offer to parents who are conscious of helping to shape positive beliefs in their kids? Well, the first thing I would say is that bad programming by authority figures is part of the deal here. We have all been programmed badly and we will program others badly. We are not healed human beings, and until then, there's going to be an awful lot of bad ideas passed around and down. As a parent, be gentle with yourself when you fall into that, but also know that one positive thought outweighs a hundred negative thoughts. Speak to children of their potential not their limitation." The Little People: Featured in The University Daily Kansan article. "Beginning a spiritual quest at age seven, Cynthia Morgan offers a different approach to solving health and mental problems. Healing is in the mind not the body. It all starts with your thoughts' said Morgan speaking about her profession and beliefs." "I distinctly remember standing outside a busy sidewalk cafe, looking forward to hearing an expert’s point of view, all the while finding a few quotes to illustrate my story, alongside those of motivational speaker and author Jack Canfield. What I didn’t know, is that Cynthia and I would spend a good two hours locked in conversation and still be friends three years later."